Benjmn Hinshaw, age 65, born in North Carolina; farmer; $800 real estate; $400 personal property. Ruth Hinshaw, age 67, born in North Carolina; cannot read or write. John D Hinshaw, age 11, born in North Carolina; attended school. Hinshaw, John, age 22, born in North Carolina; farm laborer. Hinshaw, John, age 32, born in North Carolina; parents born in North Carolina; farmer. Hinshaw, Ruth, wife, age 20, born in California; father born in North Carolina; mother born in Georgia; keeping house. Hinshaw, Benj, son, age 1, born in California; father born in North Carolina; mother born in California. Hinshaw, Martha, sister-in-law, age 14, born in California; father born in North Carolina; mother born in Georgia; attended school. Hinshaw, William, brother-in-law, age 11, born in California; father born in North Carolina; mother born in Georgia; attended school. Died in Analy Twp., July 18, 1887, Ruth Elizabeth, wife of John Hinshaw, aged 2- years, native of Cal. Married at Petaluma, Dec. 5, 1888, John D. Hinshaw to Ella Lewfenburg. Henshaw, John D., head-of-household, age 52, born Nov 1847 in North Carolina; parents born in North Carolina; married 25 years; occupation: farmer; rented farm. 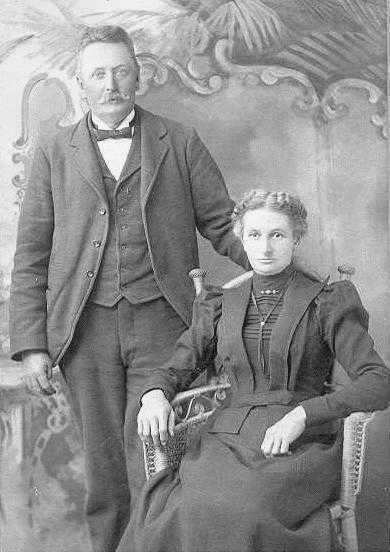 Henshaw, Ellen, wife, age 49, born Feb 1851 in Ohio; parents born in France; married 12 years; 3 children, 2 living. Henshaw, Benj. P., son, age 21, born Feb 1879 in California; father born in North Carolina; mother born in California; occupation: farm laborer. Henshaw, Lulu M., daughter, age 19, born Mar 1881 in California; father born in North Carolina; mother born in California. Henshaw, George D., son, age 10, born Aug 1889 in California; father born in North Carolina; mother born in Ohio; attended school 9 months. Henshaw, Harriet E., daughter, age 10, born Aug 1889 in California; father born in North Carolina; mother born in Ohio; attended school 9 months. Laufenburg, Geo. C., brother-in-law, age 38, born Dec 1861 in California; parents born in France; widower; occupation: farm laborer. Laufenburg, Bessie D., niece, age 6, born Oct 1893 in California; parents born in California. Hinshaw, John D., head-of-household, age 63, born in North Carolina; parents born in North Carolina; first marriage [sic], married 21 years; occupation: merchant, cigar; rented home. Hinshaw, Ellen, wife, age 60, born in Illinois; father born in Germany; mother born in France; first marriage, married 21 years; 3 children, 2 living. Hinshaw, George D., son, age 20, born in California; father born in North Carolina; mother born in Illinois. Hinshaw, Harriet E., daughter, age 20, born in California; father born in North Carolina; mother born in Illinois. Hinshaw, John D., head-of-household, age 72, born in North Carolina; parents born in North Carolina; rented home; occupation: merchant, cigar. Hinshaw, Ellen, wife, age 69, born in Illinois; father born in Germany; mother born in France. Hinshaw, George D., son, age 30, born in California; father born in North Carolina; mother born in Illinois; single; occupation: none. Mr. Hinshaw was twice married and the issue of the first union were: Benjamin Hinshaw, San Francisco, and Mrs. Mary Fisk, Cunningham Station; and of the second marriage, Geo. D. Hinshaw of this city, and Mrs. Hattie Burton, San Francisco. He is survived by his widow, Mrs. Ellen Hinshaw and also a number of grandchildren; a brother James Hinshaw, residing in North Carolina and a sister, Miss Emily Hinshaw, who resides in this state. He was also the cousin of B. B. Hinshaw, Nay Hinshaw, Will Hinshaw, A. G. Hinshaw and left other relatives residing here. He was a nephew of the late Senator E. C. Hinshaw and the late W. P. Hinshaw. Hinshaw, Ellen, age 79, born in Illinois; parents born in France; widow; rented home ($20 rent); no radio in home. "Cemetery Records from Sonoma County, CA, 1846-1921" (R.979.41 MERRITT). 1900 census, Bloomfield Precinct, Sonoma County, California; roll T623-114, ED 155, page 21B, line #67, dwelling #459, family #467. 1880 census, Analy Township, Sonoma County, California; ED 133, page 261C, line #11, dwelling #78, family #84. 1910 census, Petaluma, Sonoma County, California; roll T624-109, ED 149, page 23A, line #28, dwelling #423, family #444. Hattie Elizabeth Hinshaw's death certificate. 1920 census, Petaluma, Sonoma County, California; roll T625-151, ED 147, page 3B, line #94, dwelling #88, family #90. 1860 census, Mt. Nebo, Yadkin County, North Carolina; page 511 (256), line #28, dwelling #85, family #85. 1870 census, Tomales P.O., Tomales Township, Marin County, California; page 85, line #22, dwelling #168, family #164. Sonoma County, California, marriage records. 1880 census, Analy Township, Sonoma County, California; ED 133, page 260B, line #25, dwelling #73, family #79. 1880 census, Analy Township, Sonoma County, California; ED 133, page 261C, line #32, dwelling #81, family #87. Posting Jan 11 2002 by Jeanne Taylor () to NORCAL-L. Posting Jun 6 2001 by Jeanne Taylor () to NORCAL-L citing: Sonoma County Tribune. 1930 census, Petaluma, Sonoma County, California; roll T626-222, ED 29, page 16A, line #6, dwelling #450, family #473.
posted Jan 19 2002 by Jeanne () to NORCAL-L.
Sonoma County, California, death records. Photo courtesy of Richard Burton. 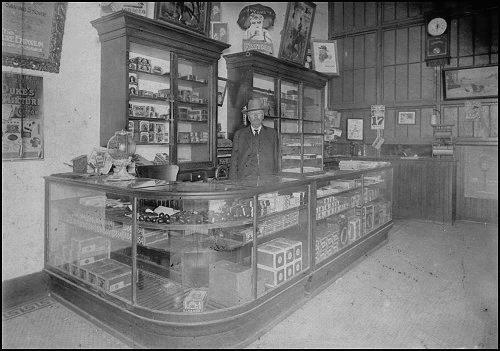 Photo courtesy of Jim Shaw: http://www.wclynx.com/private/theshaws/adscigarstore.html. Photo courtesy of Jim Shaw: http://www.wclynx.com/burntofferings/adscigarstore.html.